Today my house is a mess. My subconscious keeps telling me it should be clean. My mom and sister helped me clean it the day after Christmas, and we just got back from a fabulous relaxing trip with the in-laws, so I should be well refreshed and happy to keep it tidy. 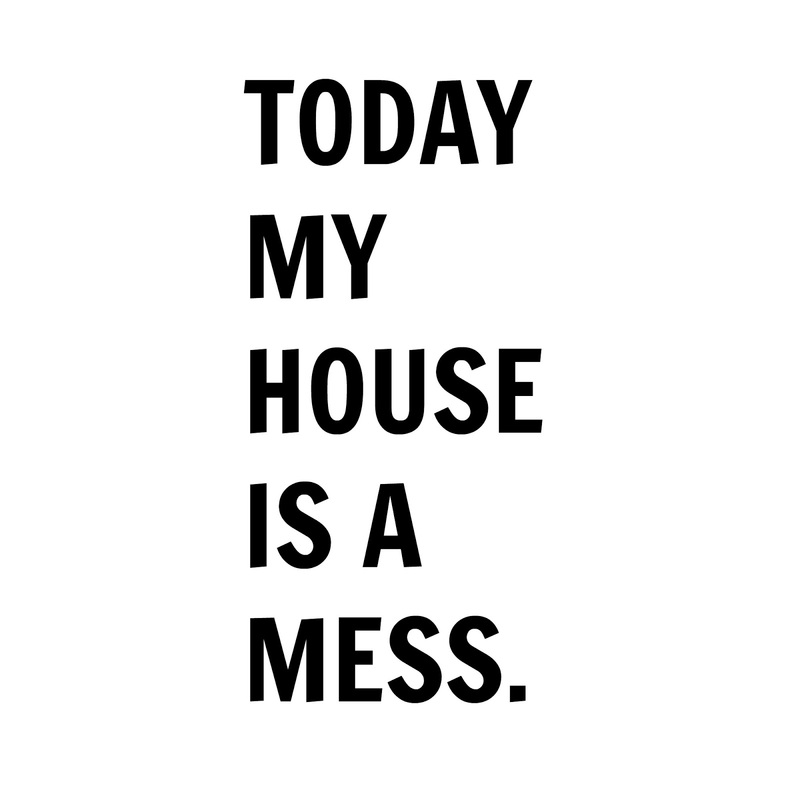 But instead, the house is a MESS and I had a bigger, angrier meltdown this morning than I’ve had in a long time. In my defense, I’m pregnant and it’s probably mostly a hormonal thing – at least that’s what I told myself after I exploded at my two-year-old who wouldn’t let me put him in his car seat – so after giving up on the crucial grocery store run we needed to go on, giving in to my son’s plea to watch cartoons, and a really long cry, I decided to banish the word “should” from my vocabulary and be grateful instead of guilty. Ramen Noodles can be cooked in the microwave in under two minutes. my house really isn’t monitored by the Nazi Clean Freak Police like my subconscious tells me it is. there are people who enjoy singing nursery rhymes and dressing up as animals so much they make YouTube videos about it. the washing machine has a heavy duty setting for the clothes I accidentally left in it over the weekend. pregnancy isn’t a permanent disability. food is sometimes easier to sweep up a day or two later. two-year-olds are perfectly satisfied with one more day of candy for lunch. and nap time. I will ALWAYS be grateful for nap time. Tomorrow is another day. Until then, I will be enjoying the view of the gorgeous, snow capped mountains from my window and being grateful that the worst part of my day is a messy house. Relax, take care of yourself and love that baby, that's all that matters. Literally, I was once in your "subconscious police" and my therapist said, "its not the end of the world and there is another day" And in the morning things will be better. (Not that the house miraculously cleaned itself during the night) but things are always brighter in the morning. Hope you feel better rel soon!! I appreciate that you stopped by to share your post, Im sure many can relate and appreciate your list! Been there and still am at times. Great reminder for us to be grateful for those little things in life and to give ourselves a break sometimes. We really shouldn't be so hard on ourselves! Oh, and what an amazing view!